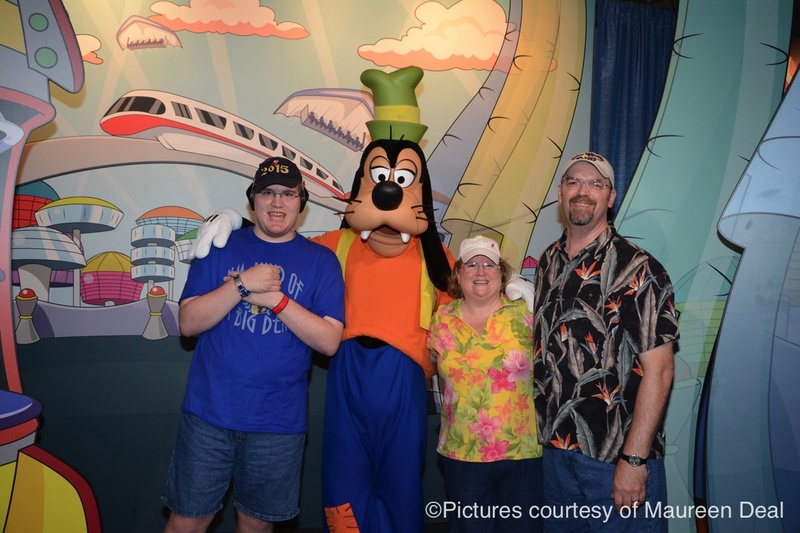 Maureen Deal, mom to a young adult son with autism, shares with us how to navigate Orlando’s theme parks and resorts with your autistic child. Orlando’s theme parks can be a place of happiness and wonderful memories for families who vacation there. 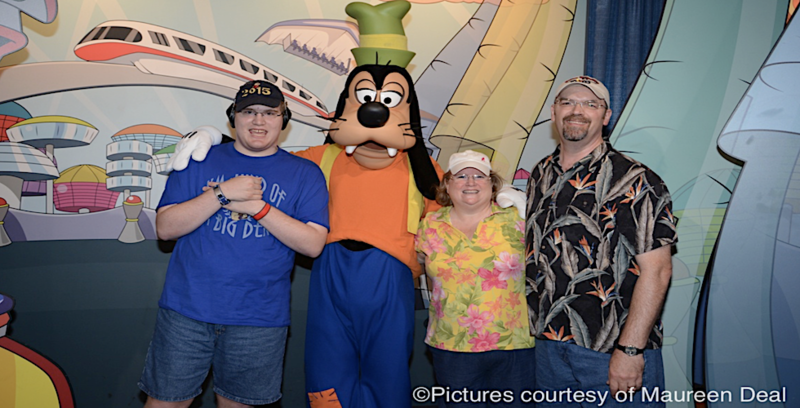 However, families with children on the autism spectrum may encounter some challenges beyond what typical visitors experience at the theme parks. Being alert and prepared for what could happen can help these families address or avoid these challenges and ensure their vacation to Orlando’s theme parks provides extraordinary moments. 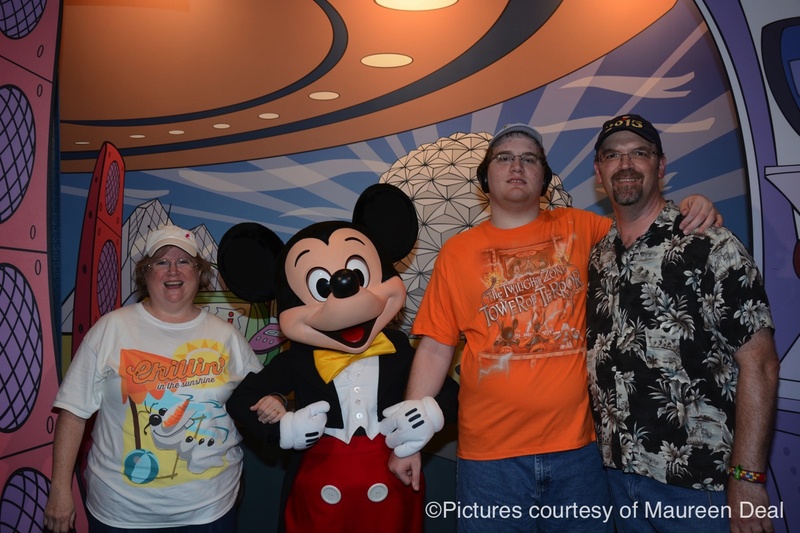 One of the challenges families with autistic children encounter when visiting theme parks is the change in daily routine, including the sleep schedule. To help prepare your child for the vacation, provide daily schedules, social stories, or whatever works for your family member. Keep to your child’s regular bedtime and sleep routine as much as possible. If you must stray from the amount of sleep your family member gets—either by staying out late or getting up early—build in a rest period in your routine the following day. Fatigue and sensory overload are significant factors in triggering meltdowns. 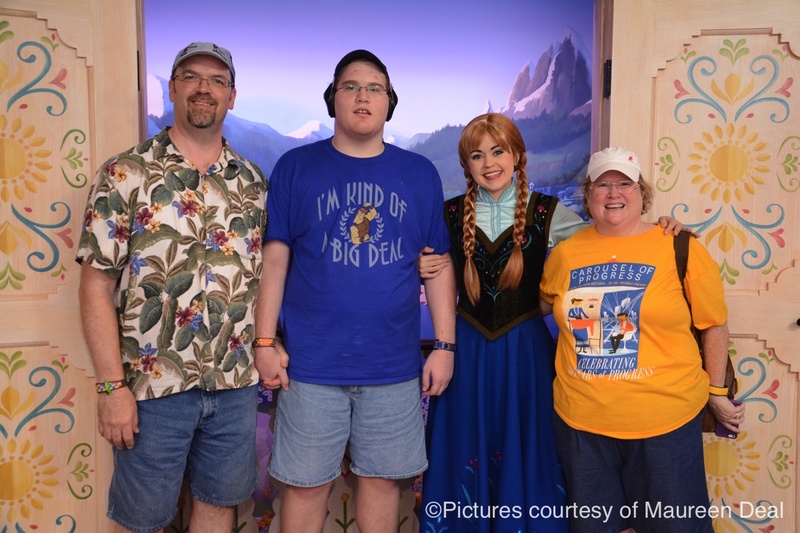 Enduring crowded buses, loud attractions, busy character meals, and overwhelming stimuli for extensive periods of time are some of the biggest struggles your family member with autism may face while on vacation. Our son wears noise-canceling headphones and foam ear plugs to assist with his extreme sound sensitivity. If you are staying on property, use your own transportation, if possible, to avoid crowded, noisy buses to and from the parks and resorts. Prepare your child for rides or shows by using social stories or watching YouTube videos of rides, shows, and other attractions. For younger children, strollers with hoods can help provide a safe retreat from overwhelming crowds and sensory stimuli—and also prevent fatigue. 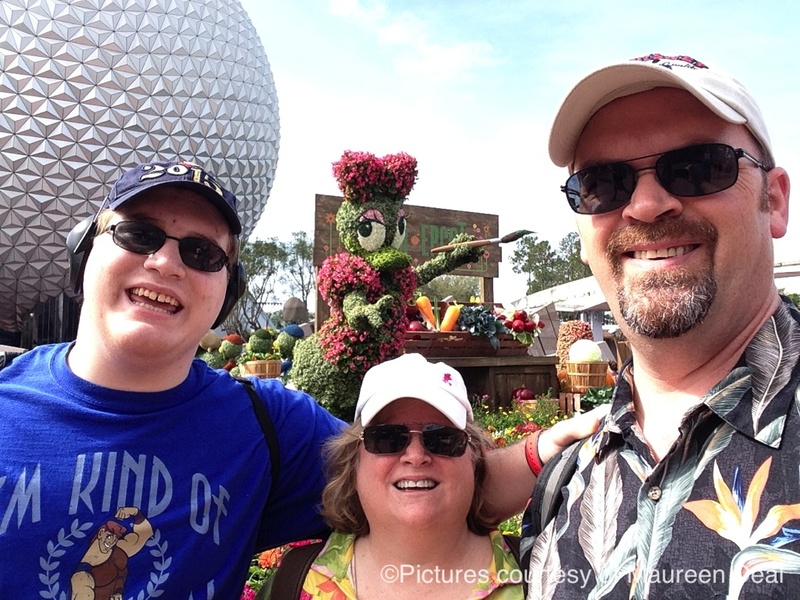 When we know our son will be waiting for longer periods of time in a crowded area (like Epcot’s Candlelight Processional queue during the holidays) or when we want to take our time enjoying the scenery (as during the Flower and Garden Festival), we rent a wheelchair for our young adult son. Guests who are on special or limited diets may find dining outside the home a challenge. Luckily, Orlando’s theme parks are generally very accommodating with special diets and offer a variety of food choices. Chefs at the table service restaurants and buffets will discuss with you what items are within your family member’s special diet and may even prepare something off menu if needed. Although our son is not on a special diet, his preferred foods are limited, so we always plan to eat in restaurants that offer what he likes. We also bring our own snacks. If your autistic child is an escape artist or easily wanders away to explore something that attracts his or her attention, you’ll need to be even more diligent in keeping an eye on your family member while on vacation. If you need to keep your child in a stroller for safety and comfort reasons when you are waiting in the queues or while viewing shows, you may request from guest relations a stroller wheelchair tag/pass. This tag enables you to keep your child in the stroller in any queue or show in which wheelchairs are allowed. Many families with autistic children bring a travel door lock for their resort room that prevents the opening of the door or a travel door alarm that activates if the door is opened. For additional safety measures, consider obtaining an identification wrist band, shoe tag, or a temporary tattoo with parental contact information. Our nonverbal son wears a Road ID wrist band. There are also GPS devices designed for persons who may wander. Please note: Some guests mistakenly think that the Magic Band can be used as a GPS device, but the Magic Band system cannot provide the location of a lost child at Walt Disney World. Sometimes our son’s behaviors and loud noises (when he’s either joyful or upset) attract attention. It’s very unusual for us to encounter other guests who rudely stare at him for an extended period of time, but it has happened. As a parent of a child with autism, I keep a thick skin when encountering the rare rude behavior of others and usually ignore it. Responding to my son’s gleeful squeals or hand flapping by saying, “Yes, you are very excited to ride this ride, aren’t you?” provides an explanation to a curious or rude guest without any uncomfortable confrontation. In fact, we have encountered many guests who smile or even comment positively about my son’s excitement and happy reactions. One of the most significant problems that families with autistic children experience at theme parks is waiting for long periods of time in queues. Luckily, Orlando’s theme parks provide accommodations so that autistic guests and their family members can wait outside the regular queue. 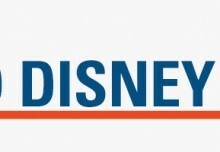 The Disability Access Service (DAS) pass at Walt Disney World, the Attraction Assistance Pass (AAP) at Universal Orlando Resort, and the Ride Accessibility Pass (RAP) at SeaWorld and Busch Gardens are available from guest relations. Although each park’s procedures vary when requesting the DAS/AAP/RAP at the park’s guest relations (some require all members of the group to be present), explain your family member’s need so that he or she can be safe and enjoy the parks. Using labels (e.g., my child has autism) is better supported by describing your family member’s needs (e.g., my child cannot wait for long periods of time in a queue, or my child will start to display inappropriate behaviors and may get very upset). The guest relations employee determines if your family member is qualified for the pass. If your family member is denied a pass and you feel that this is an error, kindly ask for a supervisor and explain your reasons again. Using these passes, the guest and family are given a time to return to the desired attraction and therefore not required to wait in the regular queue. While waiting for their designated return time for the attraction or show, they can enjoy a show, another attraction, visit shops, or take a break. We also recommend that, if possible, you have one member of your group go to the attraction to obtain the return time so that your family member will not have to see the attraction before it is time to ride. Tips for Walt Disney World: Ask for your first return time from the CM at guest relations when you get the DAS. Also, it’s best to coordinate your DAS attraction with your FP+. For example, before using your FP+ at Space Mountain, obtain a DAS return time for the Buzz Lightyear ride. After you are finished at Space Mountain, it shouldn’t be long before it is your DAS return time for Buzz Lightyear. 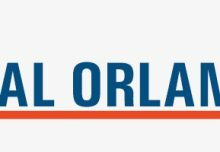 I hope these tips and recommendations assist your family and help you experience the best of Orlando’s theme parks. For more family fun when visiting Walt Disney World, check out The Unofficial Guide to Walt Disney World with Kids. The guide has all you need to plan a successful visit, including touring plans specifically geared towards families visiting with children. If you enjoyed this post, please subscribe to our YouTube channel and sign up for our newsletter here.